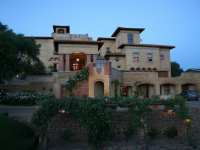 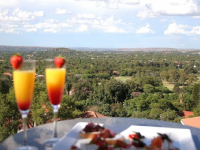 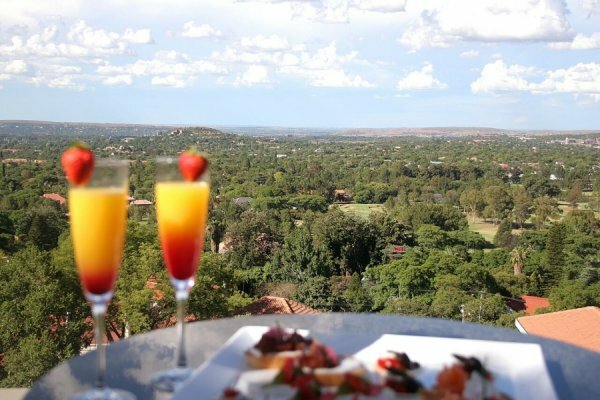 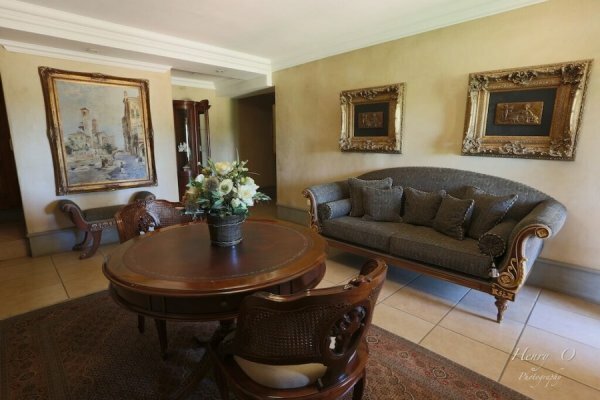 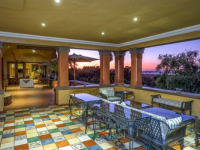 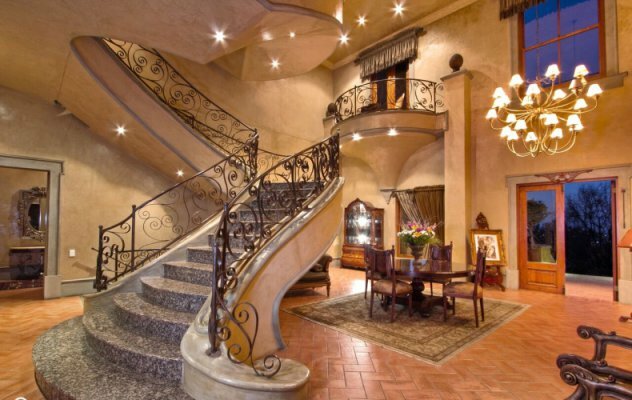 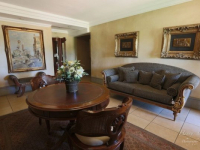 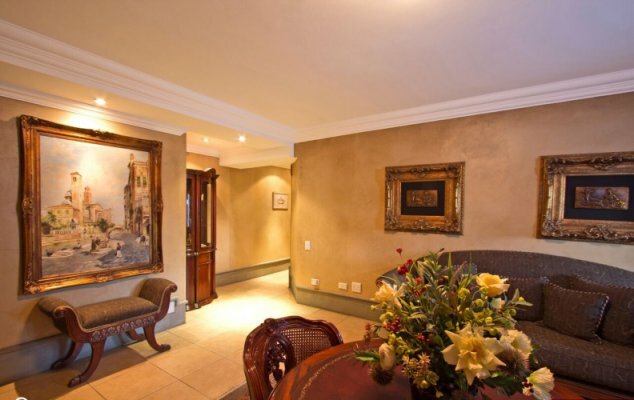 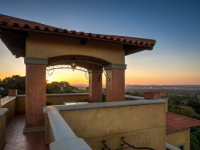 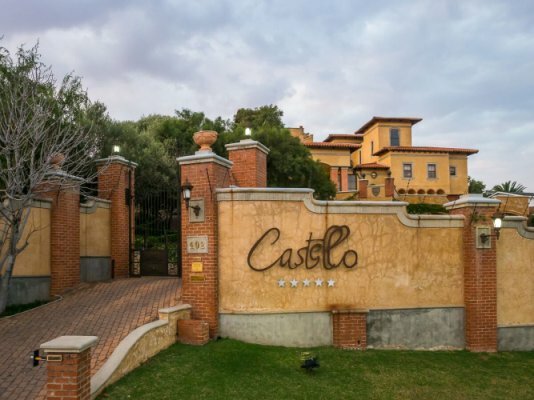 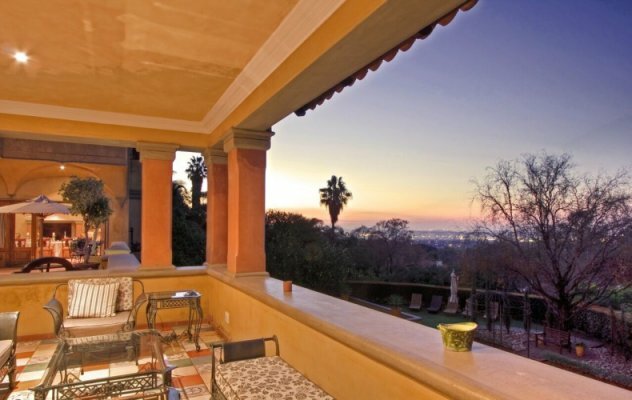 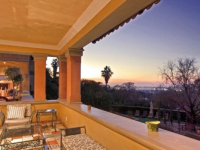 From its prime hillside position in Waterkloof, the grand Castello di Monte grants sweeping views of Pretoria. In the style of the great Tuscan country villas of the 16th century, this private mansion stands in landscaped gardens and provides serene terrace spaces and marvelous lookout areas. 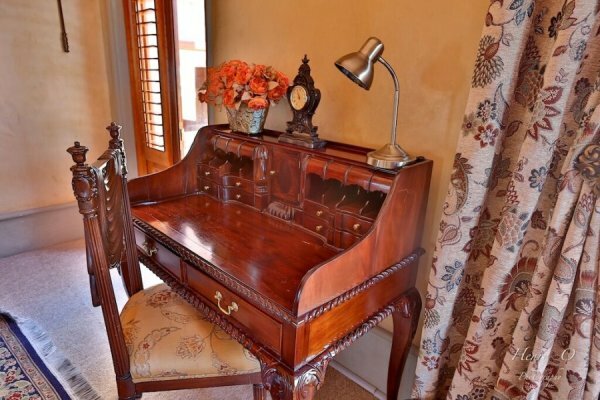 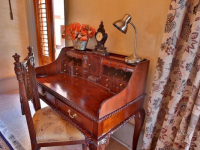 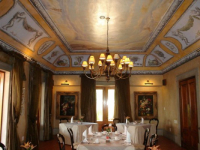 Exquisite interiors gleam with the resplendence of a gracious former era. 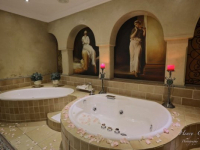 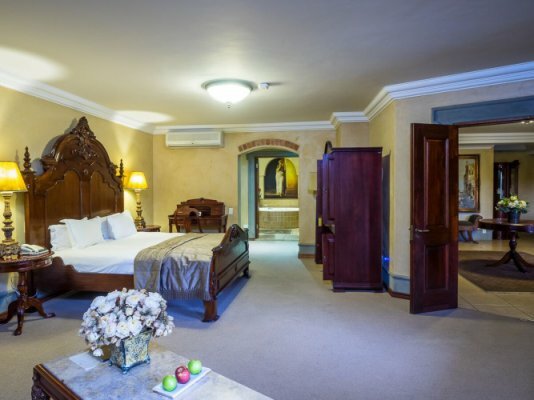 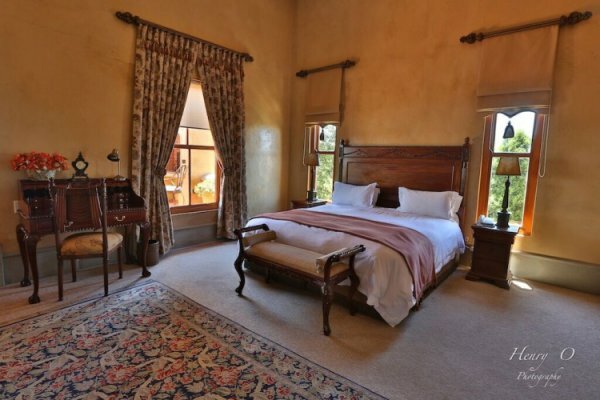 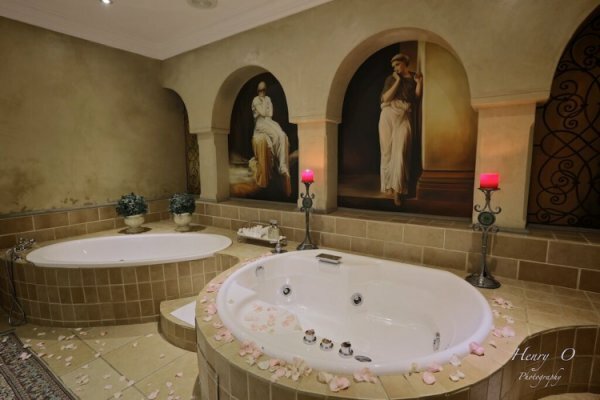 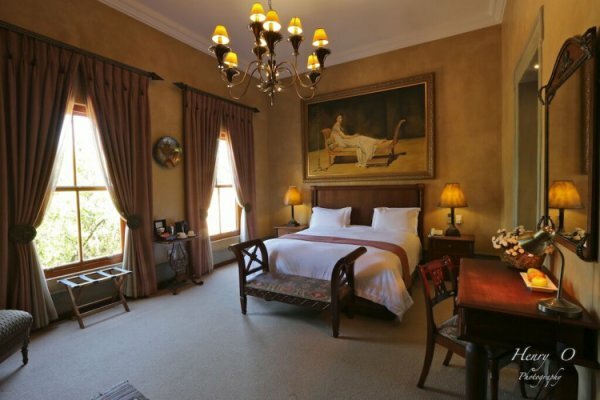 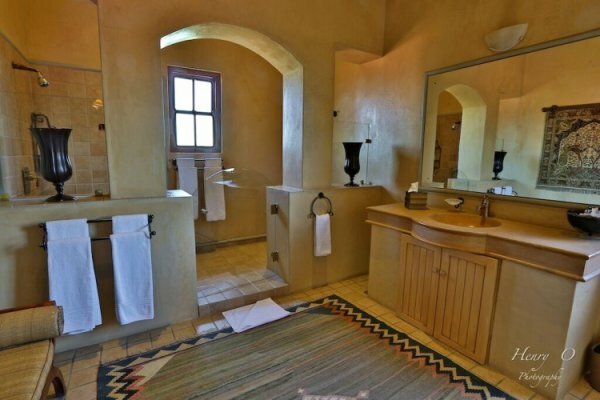 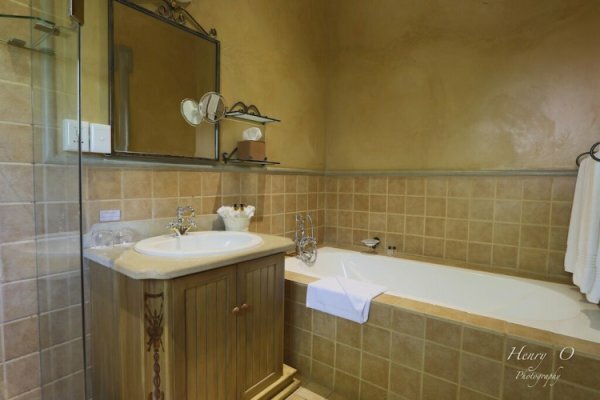 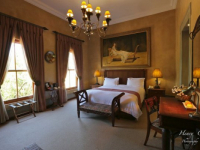 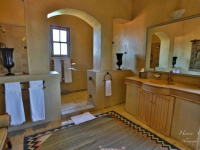 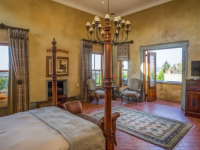 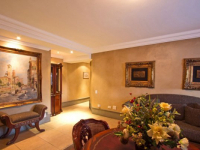 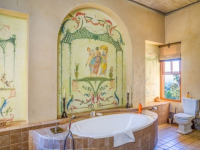 The rooms and suites are havens of supreme comfort: the Honeymoon Suite offers Jacuzzi bath and hand-painted murals, whilst the Presidential Suite has a grand four-poster bed and beautiful fireplace. Fine-dine in a majestic dining hall with splendid painted ceiling. 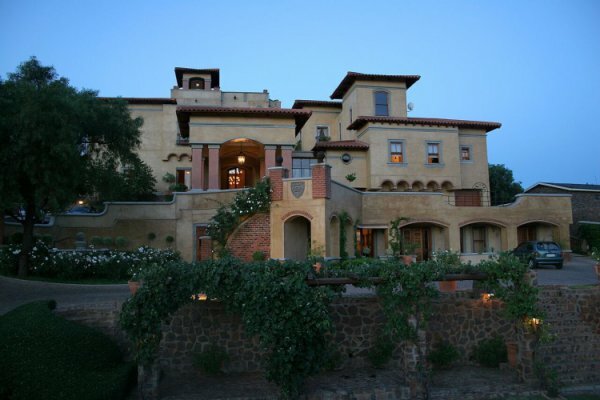 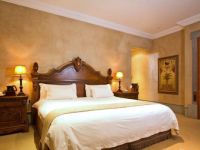 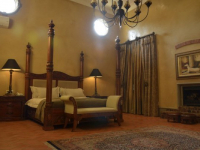 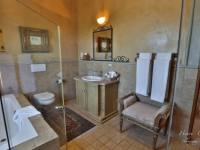 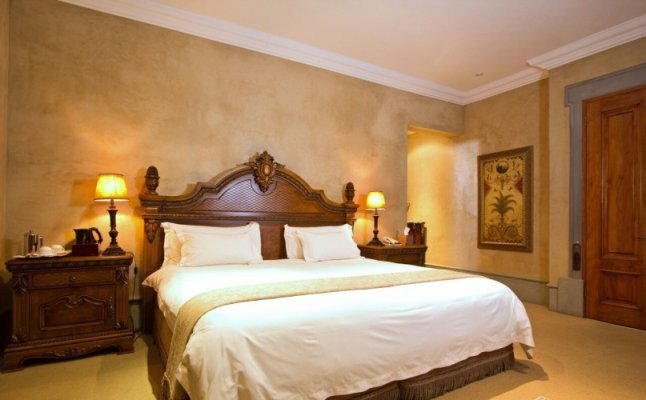 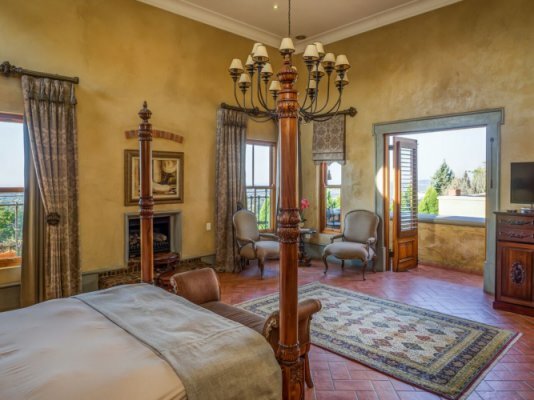 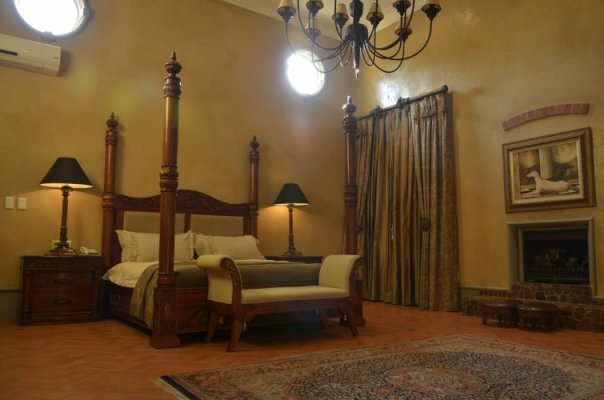 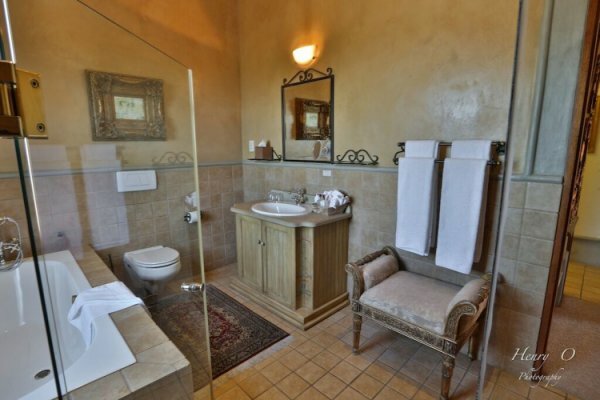 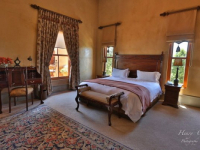 Castello di Monte is ideal for special couple getaways, intimate celebratory events or small executive gatherings. 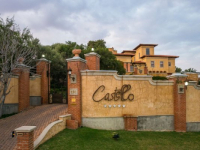 There's currently no specials at Castello di Monte. 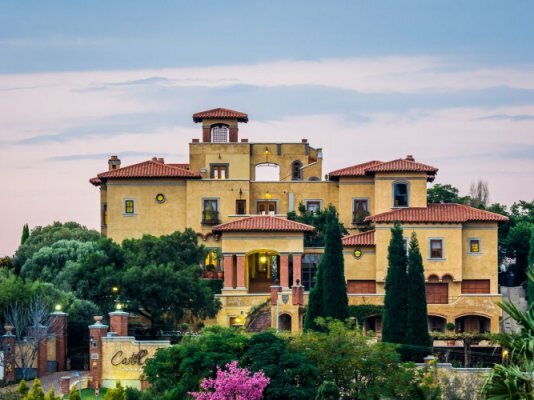 Castello di Monte can accommodate a maximum of 35 delegates for a conference.